Jaw opens to a maximum of 15mm. 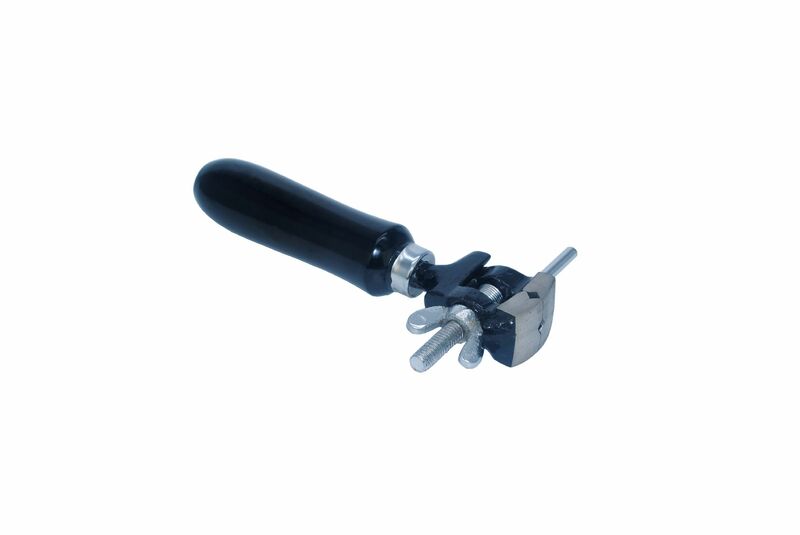 Overall length of tool including handle is 16.5cm or 165mm. Fly nut screw action to open and close the jaws. Jaws are smooth to prevent marring. Use to hold small objects tight horizontally or vertically while grinding, drilling, filing, hammering, sanding, shaping, etc.